The tiny island of Sri Lanka dots the Indian Ocean as a special place full of beauty and allure. Anyone who is interested in taking a holiday with a difference will definitely look up Sri Lanka, as the country figures high on traveler itineraries because it has something to offer everyone. And no, that's not just something we say; it really is true, and here's why. 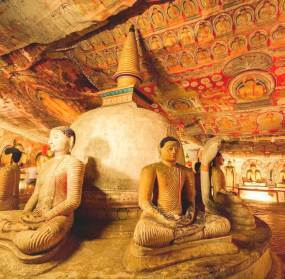 No matter what interests you, be it adventure, relaxation, wellness, history, culture, you name it, Sri Lanka has it. 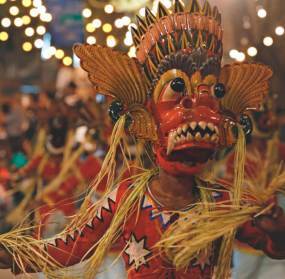 The island which was at one point known for its Sun, Sea and Surf is now known for so much more. 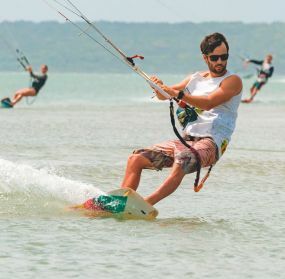 Yes indeed, the sun, sea and surf are still very much there, but infrastructural developments in the country have made it possible for holidaymakers to enjoy so much more when they visit this Pearl of the Indian Ocean. Take, for instance, Sri Lanka as a wellness destination. The Ayurveda industry within the country has grown in leaps and bounds, and there are many hotels that are ideally located by the sea where the surrounding serenity contributes to the peace associated with wellness and healing. With trained professionals in Ayurveda, yoga, meditation and healthy habits, there are many hotels that have made holistic wellness their unique selling point. And given that Sri Lanka and its people are known for their hospitality, there is absolutely nothing that stands in the way of travelers opting for Sri Lanka as their wellness destination. Then there are those who seek adventure in their travels. Sri Lanka is the best place to find it. For some great surfing, the seas off the southern and eastern coast are excellent, and the beach life is just thrilling. 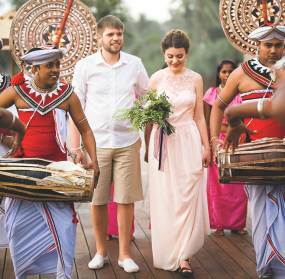 With many hotels dotting the coast around Sri Lanka, holidaymakers are actually spoilt for choice on where to spend their vacation. Usually these hotels also cater to guests who wish to go diving, boating, jet skiing, etc., so no one is left unsatisfied. For white water rafting, there are the rapids in Kitulgala and other rivers in Sri Lanka's wet zone, while for hikers there are the mountainous regions in central Sri Lanka. Also for those animal-lovers who crave a bit of jungle life, Sri Lanka is home to many national parks where on guided safari tours, holidaymakers can set their eyes on leopards, elephants, wild boar, crocodiles, monkeys, exotic birds and so much more. There are also luxury camping opportunities available within the parks as well, for guests who like to be that much closer to nature throughout the day. Travel further north of the country to immerse yourself in more history where the other ancient kingdoms of Anuradapura and Polonnaruwa await with so much to see. The food...wow! Sri Lanka is a melting pot of cultures and this is reflected in its food as well. So all foodies out there, you won't be disappointed. Try the many varieties of dishes from authentic Sri Lankan to western and eastern cuisine of different origins. Sri Lankans love their food and they always aim to please in the kitchen.